Welcome to HHORA news, updates, articles and other information relevant to the off road community. Why all the new gates at Hollister Hills? This question has been asked more frequently by park visitors recently, and for good reason. Over the past year, the park’s trail crew has been installing gates along specific trails throughout the park (Olive Orchard, Lake, Rancho Road, etc). 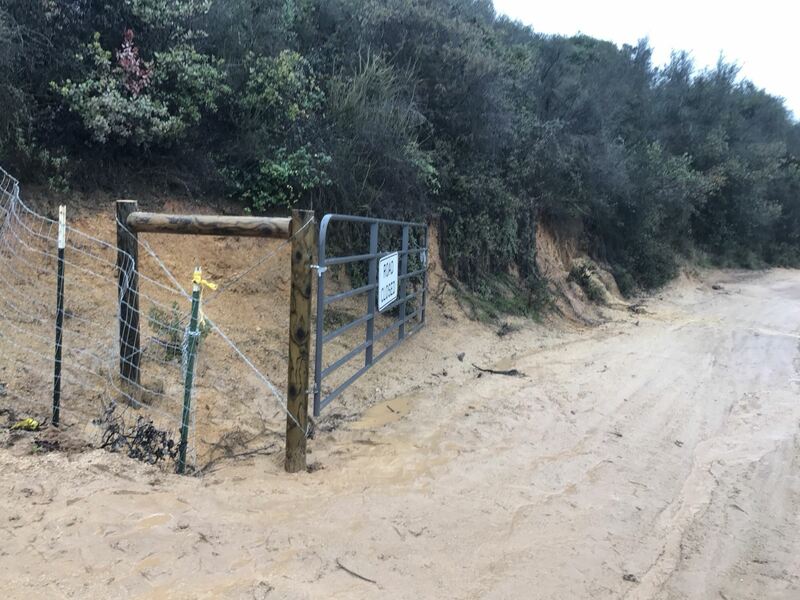 The gates are not meant to close trails permanently, but are used to limit public access to trails when they are being maintained, either with heavy equipment or by the park’s trail crew, or to close trails during wet weather. The ability to effectively close trails during maintenance activities is essential to promoting safety for park visitors and park employees. Maintenance activities can vary from one piece of heavy equipment, like a road grader or bull dozer, to a whole crew of workers brushing a trail. Being able to close the trail allows work to be carried out safely and efficiently. Wet weather closures are integral to the management of the trail system at the park. Due to the local geology, the park is split into two main soil types. Trails that are predominately clay-based are closed during wet weather. Clay-based trails are nearly impassable when wet, even with small amounts of rain. Of paramount concern is public safety. If a rider wrecks and is in need of medical attention, wet or muddy trail conditions can significantly delay or even endanger the first responders. Additionally, riding on muddy trails damages the tread surface which causes the trail to hold water for a longer duration in ruts and low spots. The dedication of a new national monument is a momentous occasion, the culmination of years of hard work and preservation. Berryessa Snow Mountain National Monument was recognized with a formal dedication ceremony on March 19, 2016 at the Bureau of Land Management’s Cowboy Camp. In attendance were many local and national dignitaries including U.S. Secretary of the Interior Sally Jewell, U.S. Representatives Mike Thompson and John Garamendi, California Secretary for Natural Resources John Laird, along with hundreds of conservation leaders and supporters. Designated by President Obama in July 2015, the newest national monument balances resource protection with multi-use recreation. 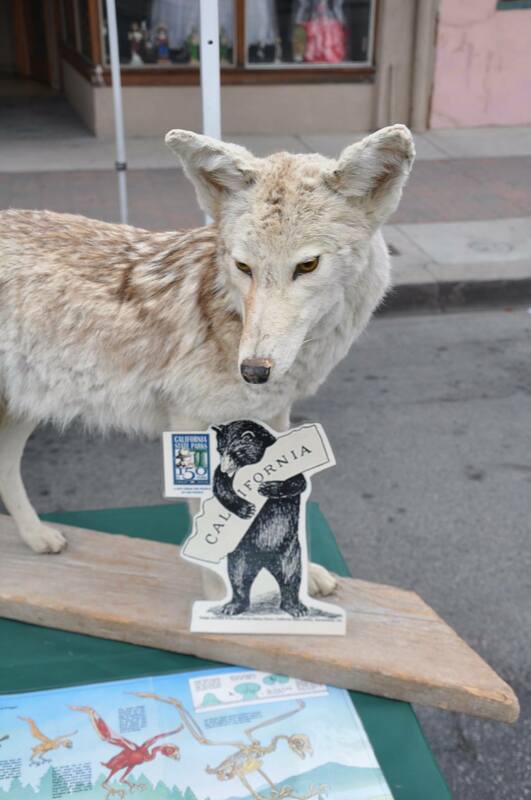 It took years of cooperative efforts among many different public agencies and private partnerships, including California State Parks, to protect this beautiful slice of California as a national monument for all of us. The event organizers invited the Off-Highway Motor Vehicle Recreation Division (OHV) to provide an interpretive booth in order to highlight the continued OHV recreational opportunities previously established in this area. Approximately 700 people visited the centrally-located booth and participated in interactive programs to learn about safe and responsible off-highway vehicle recreation. 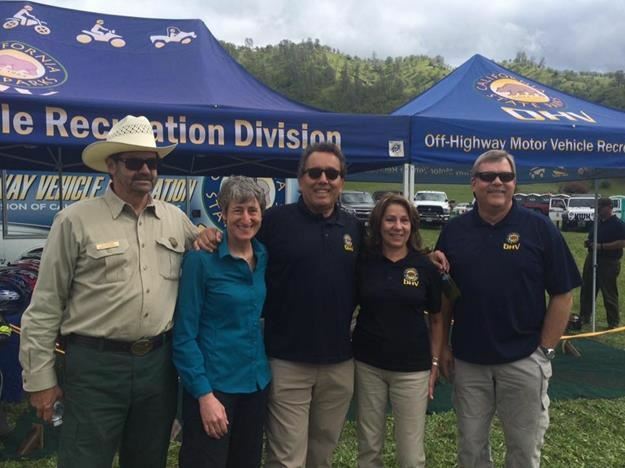 The OHV staff had the pleasure to give Secretary Jewell a personal tour of the booth that supports the efforts of this newly designated public land. 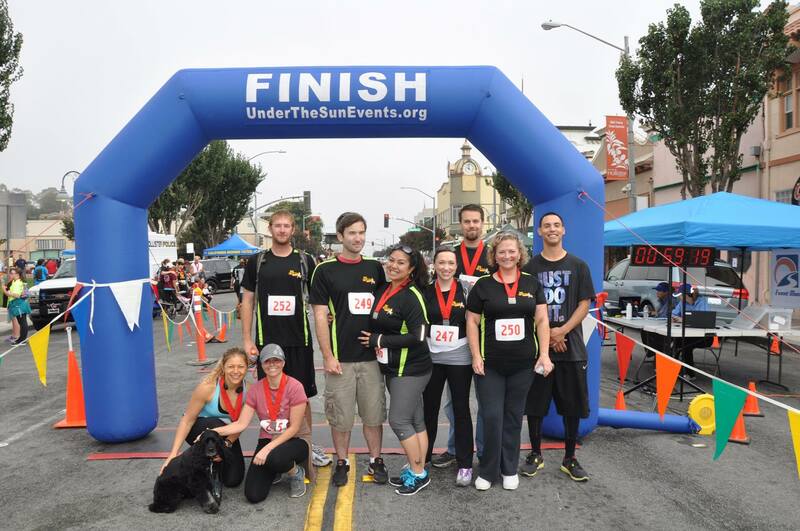 HHORA Featured in South Bay Sports Stars Magazine! 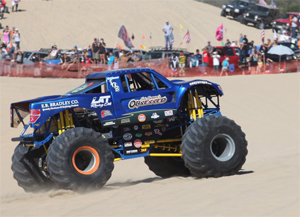 Thousands of spectators and off-highway racers gathered at Oceano Dunes SVRA for the 6th annual truck-jumping contest known as “Huckfest.” The event, held on October 17 and 18, 2014, was a huge success. Huckfest started in 2008 as a small dune jumping competition amongst truck enthusiasts. Organized by brothers Manuel and Johnny Garner from Nipomo, CA, Huckfest draws fans and competitors from around the world. As the event became more popular, the organizers added live music, concessions, vendors, and exhibitions. The event is especially popular with families, who camp out, barbeque, and enjoy the festivities all weekend. Bands kicked off the event on Friday. On Saturday morning, competitors test-drove their vehicles to prepare for the afternoon contest. 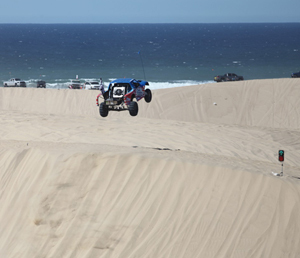 Each competitor performed three measured jumps off a sand dune ramp. The vehicle with the longest recorded jump won the highly-coveted bragging rights. During breaks, monster truck and motorcycle exhibitions kept the crowd entertained. Mike Higgins of Michigan was the overall winner with a distance of 146 feet. The 4th Annual Carnegie SVRA Visitor Appreciation Day was a great success. Approximately 980 visitors attended the family-friendly event, which was filled with fun activities, special rides, and vendor displays. Sector Superintendent Randy Caldera kicked off the event on Saturday, October 18, 2014, with a night ride through the park. Riders and drivers enjoyed views of a spectacular night sky and the Central Valley lights from the Carnegie hills. 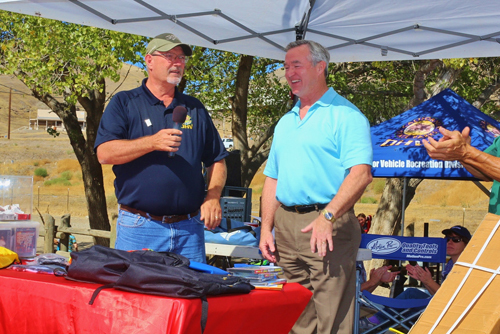 On Sunday, San Joaquin County Supervisor Bob Elliott addressed event attendees and enjoyed the 4x4 hillclimb demonstrations. Visitors were treated to free raffle tickets for generous prizes. Carnegie SVRA staff and the California Off-Road Association (CORVA) hosted fun activities for kids and families. Programs focused on the TreadLightly!® principlesundefinedTravel Responsibly, Respect the Rights of Others, Educate Yourself, Avoid Sensitive Areas, Do Your Part. Activities included a safety gear relay race and an obstacle course for radio-controlled jeeps. Kids also rode the ATV safety simulator while at the OHMVR Division’s booth. Carnegie SVRA staff would like to thank our vendors for coming out, our partner support, and especially the raffle donations. We’re looking forward to doing this again next year! 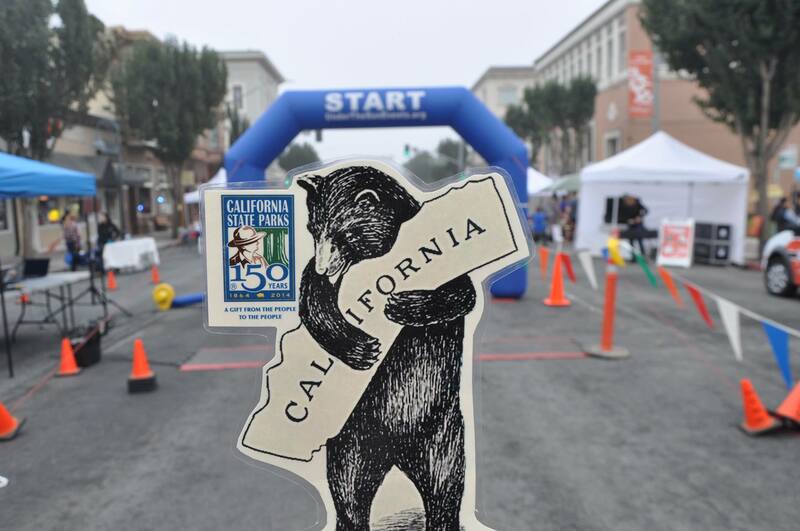 Hollister Hills SVRA staff and our #iloveyoucabear "Hollister Bear" participated in the 25th Annual San Benito County Red Ribbon Run this past Saturday. Park staff did an awesome job in both the running and walking categories while Hollister Bear just posed for the camera. On July 12th, members of the 40 Plus Vintage Racing club volunteered their time to give Hollister Hills SVRA’s donated motorcycles some much needed maintenance. The bikes got their carbs cleaned, tires changed, and new hoses, cables and wires. After learning that the bikes were going to be used in the upcoming Motorcycle Safety Foundation (MSF) component of the San Benito County Police Athletic League Youth Leadership Program, Hollister Hills volunteer Frank Vest organized the bike work day with fellow club members. When club member Brian Riley (pictured here) heard about these young kids who want to be future mentors and leaders to San Benito County youths, he felt it was important to come out and help out. “It’s all about the kids” said Brian who also came out with his son. Thank you to Hollister Hills Volunteer Frank and Paula Vest and the Vintage 40 Plus Racing Club for getting those bikes ready for the next Off Highway Police Athletic League (OHPAL) MSF class. Hollister Hills SVRA volunteers and staff once again will join thousands of other volunteers and organizations across the nation who have for over 20 years assembled together for the largest national day of community service, National Make a Difference Day. This year we will have two scheduled volunteer activities at Hollister Hills SVRA. The annual Clean Wheeling trail side clean-up event in the 4X4 Upper Ranch portion of the park. Participants will use their 4X4 vehicles to travel throughout the park while at the same time cleaning up along the roads and trails. In the Lower Ranch portion of the park, volunteers and staff will gather together and ride to desig- nated project areas where we will be restoring and beautifying several areas in the Lower Ranch and Renz portions of the park. The projects will enhance native ecosystems by re-vegetating areas with native plants that provide habitat for wildlife and soil stabilization for erosion control. Meet at HHORA Training Building, Lower Ranch, Hollister Hills. Check in will begin at 9:30 am, at 10:00 am volunteers will be briefed on the work plan. We will meet back at the training center for a barbeque lunch at 1:00 pm. Cost: Free admission to the park for volunteers and a free lunch, compliments of the Hollister Hills Off-Road Association. The event will be cancelled if there are heavy rains. Please R.S.V.P. by 10/25/12, and don’t forget your works gloves!